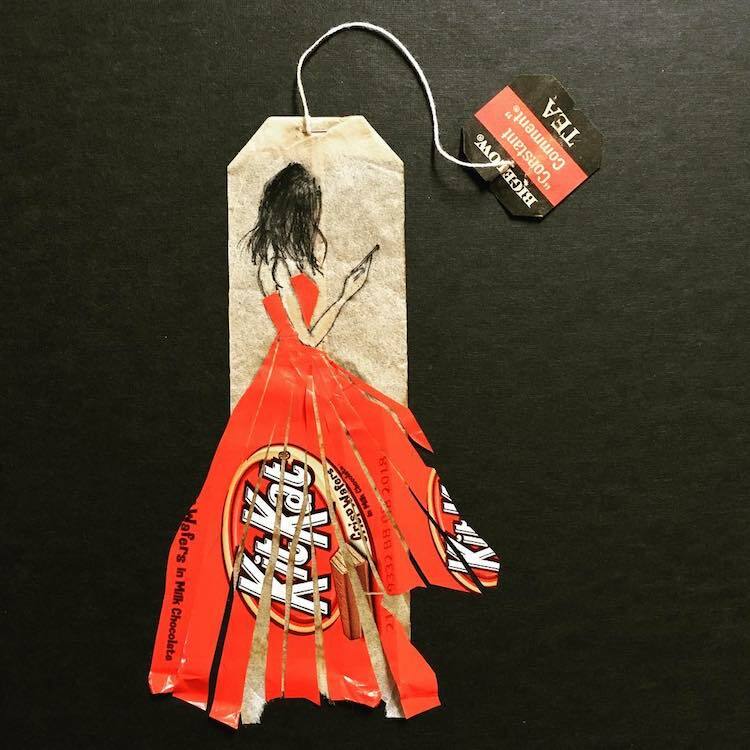 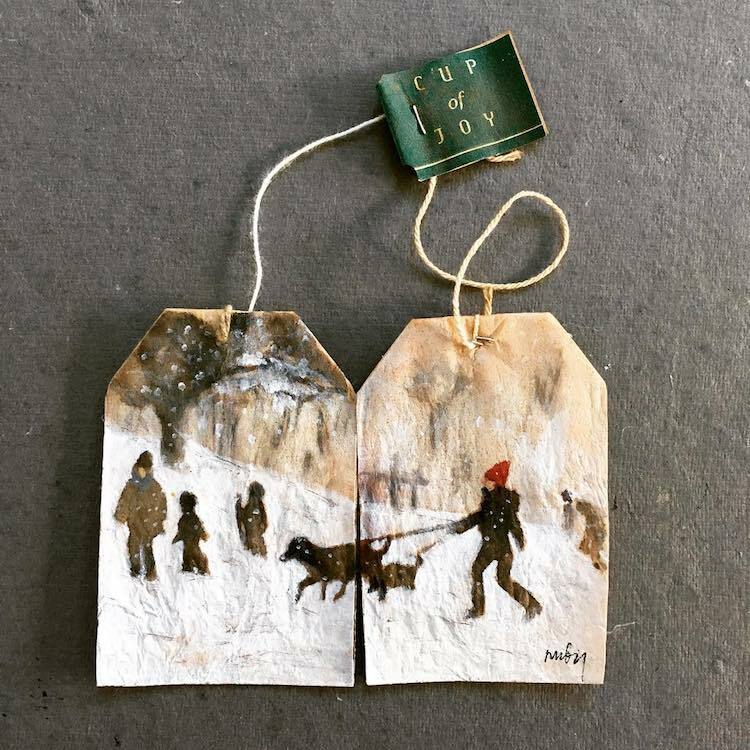 At the beginning of 2015, New York-based artist Ruby Silvious embarked on a new project called 363 Days of Tea, a visual diary of miniature paintings and collages on used, emptied-out tea bags. 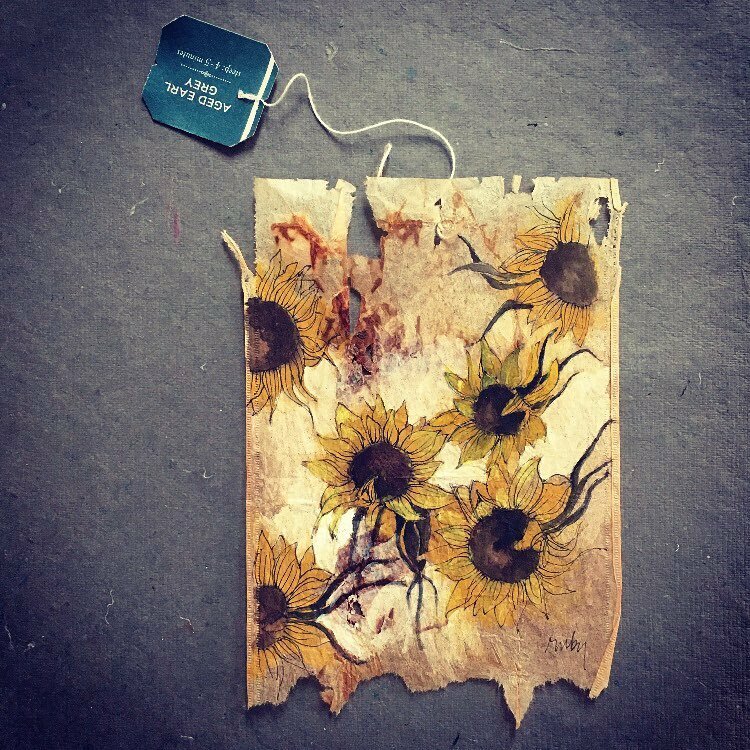 While many discard their used tea bags, Silvious celebrates the popular, daily tea-drinking ritual by recycling them for use as mini canvases. 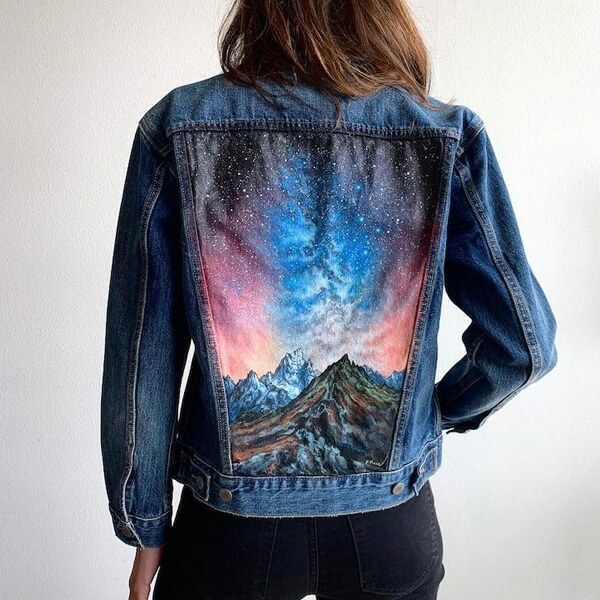 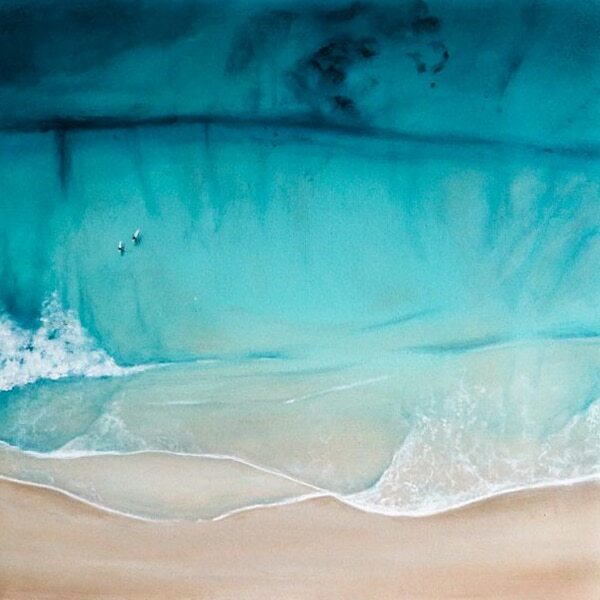 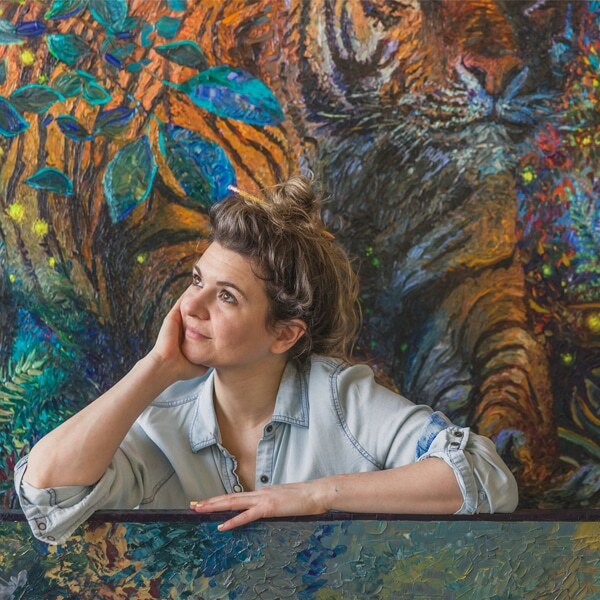 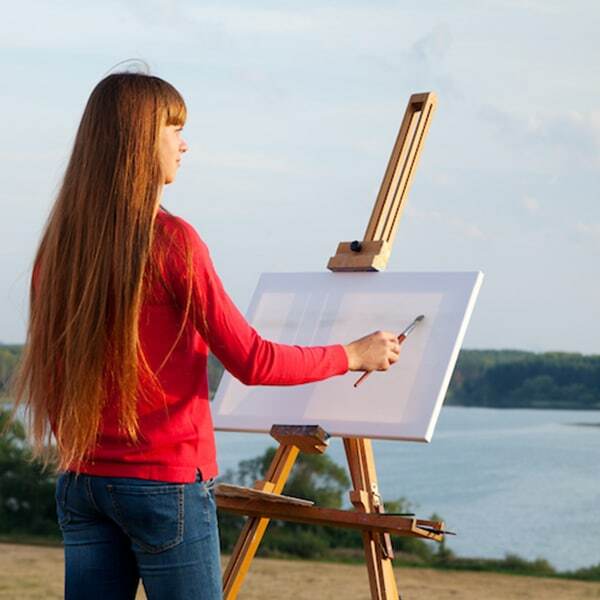 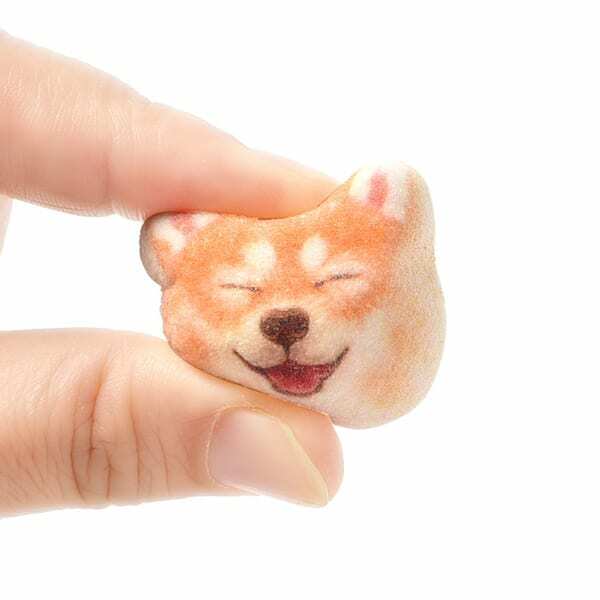 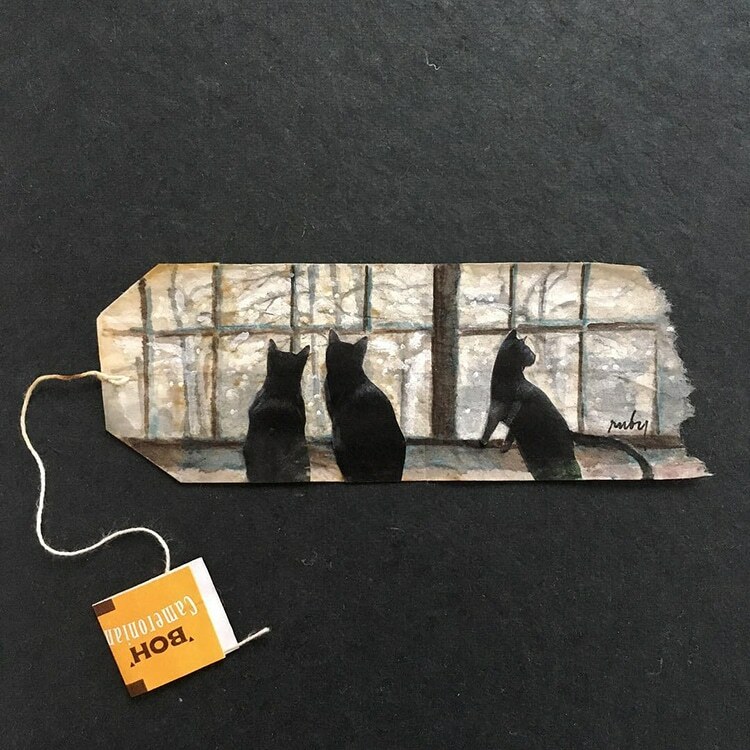 Three years later, the artist continues to create her daily paintings, illustrating her day-to-day life. 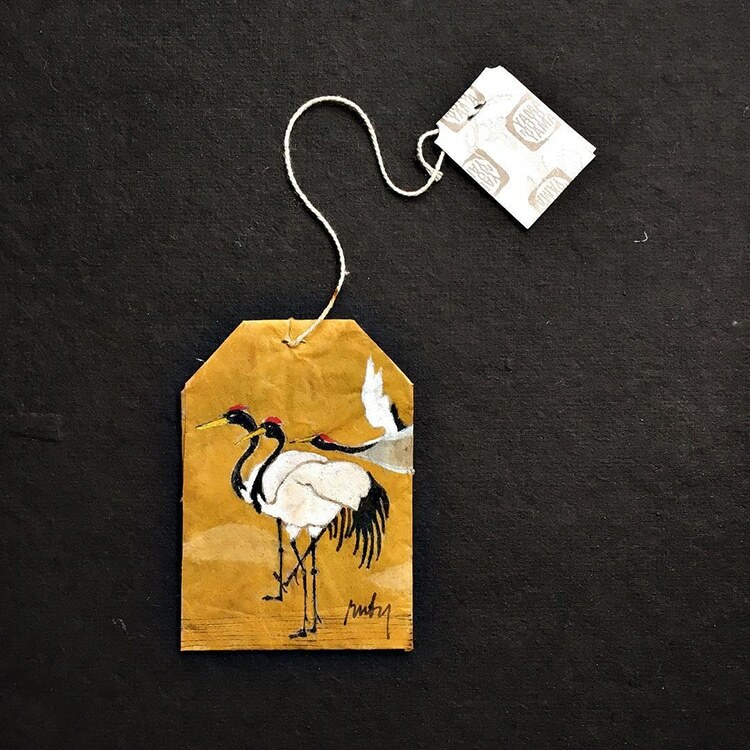 In addition to her routine tea drinking and painting, Silvious has created various tea bag art collections while traveling. 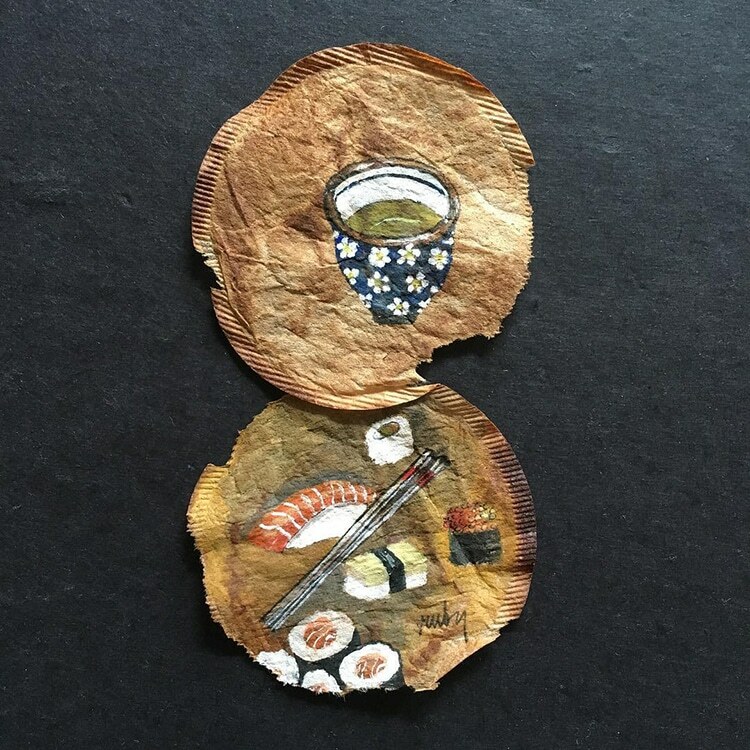 One series titled 26 Days of Tea in Japan (2016) was made from ink, watercolor, gouache, and cut-out origami paper, illustrating her time spent during an artist residency in the Land of the Rising Sun. 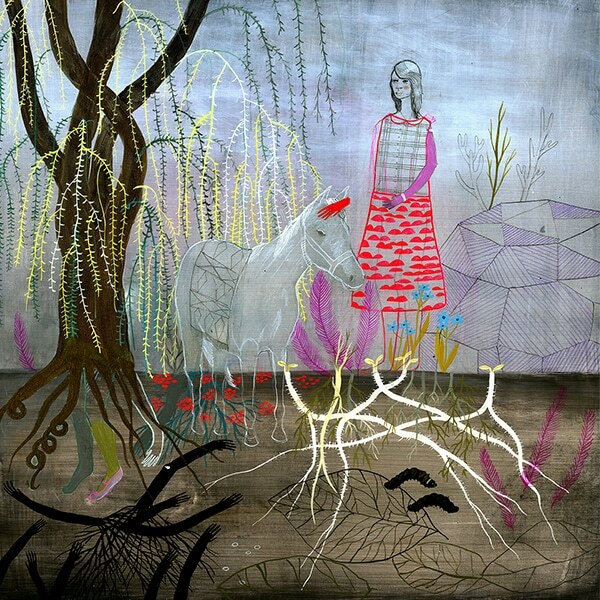 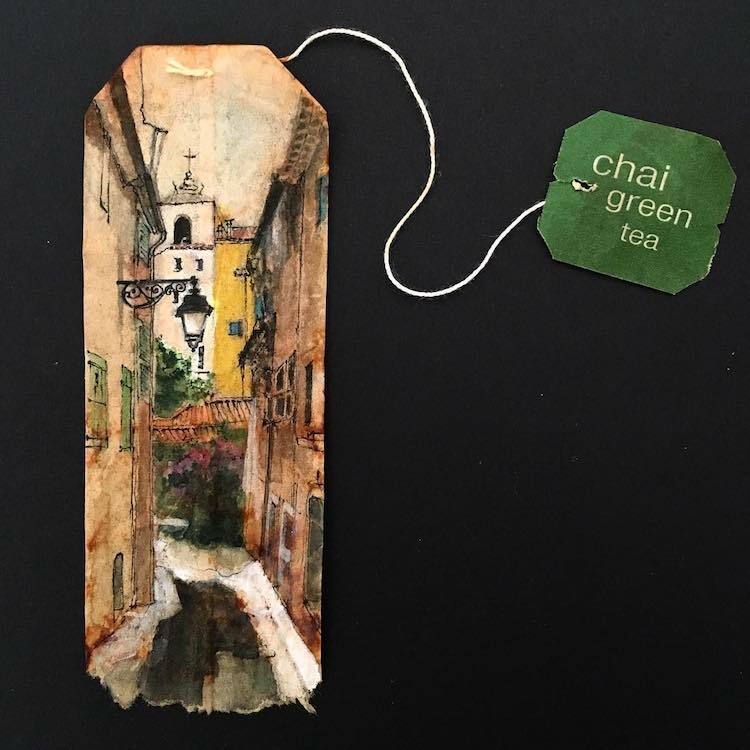 Her most recent series, 26 Days of Tea in France (2017) features paintings of French gardens and cuisine, and was recently exhibited at LM Studio in Hyères, in southern France’s renowned Côte d’Azur region. 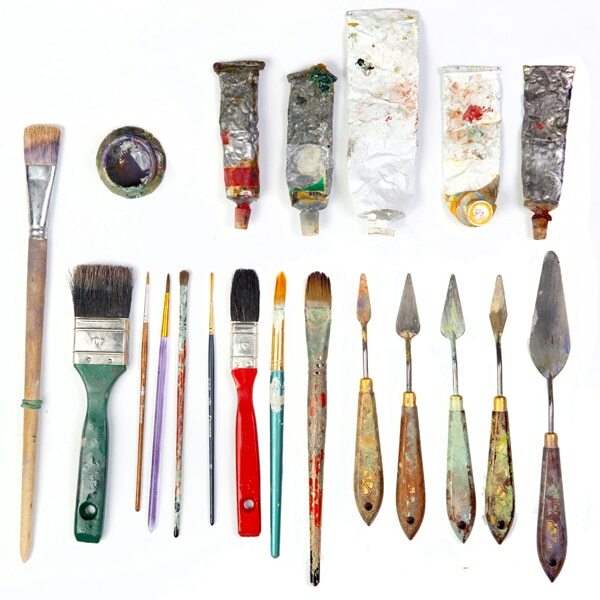 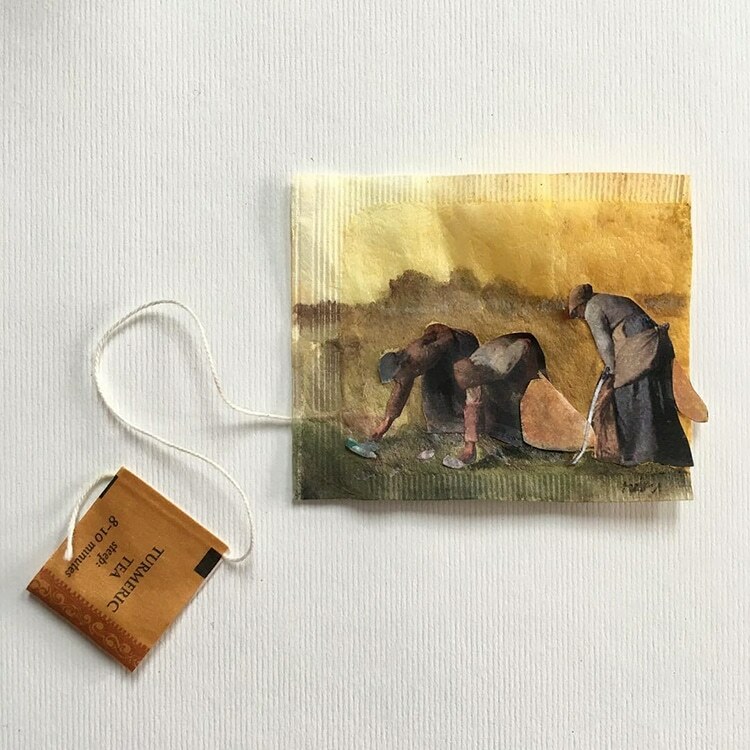 The productive artist has also compiled her collections into a coffee table book, 363 Days of Tea: A Visual Journal on Used Teabags, that’s currently available to buy on Amazon. 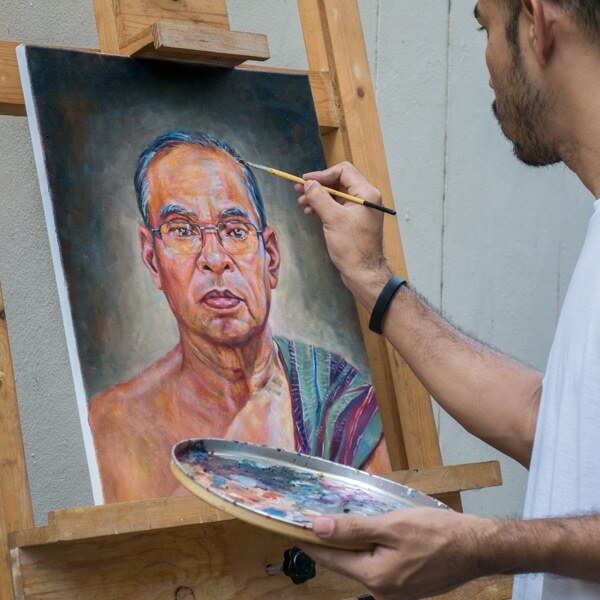 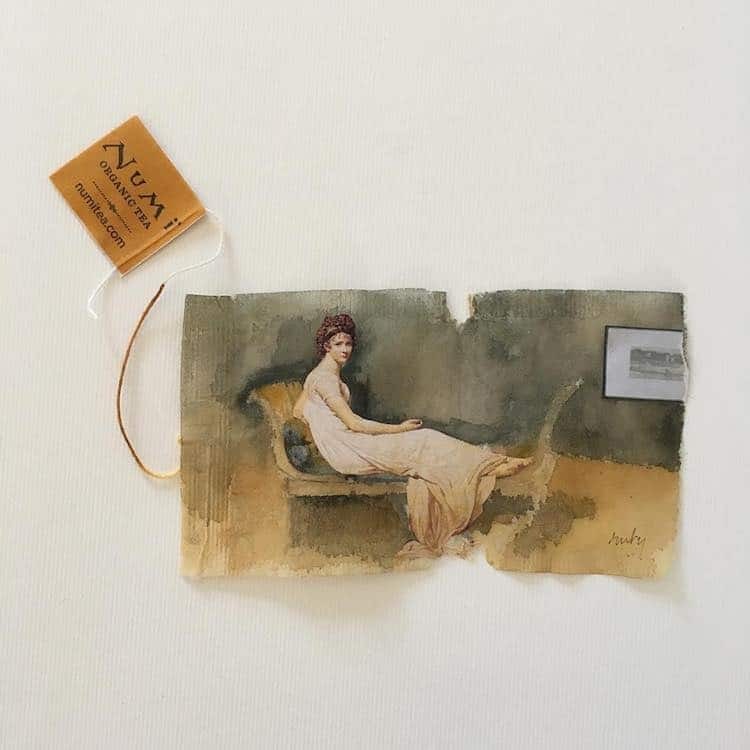 If you’re in Philadelphia, you can see Silvious’ work included in the group exhibition Deemed a Canvas at Paradigm Gallery. 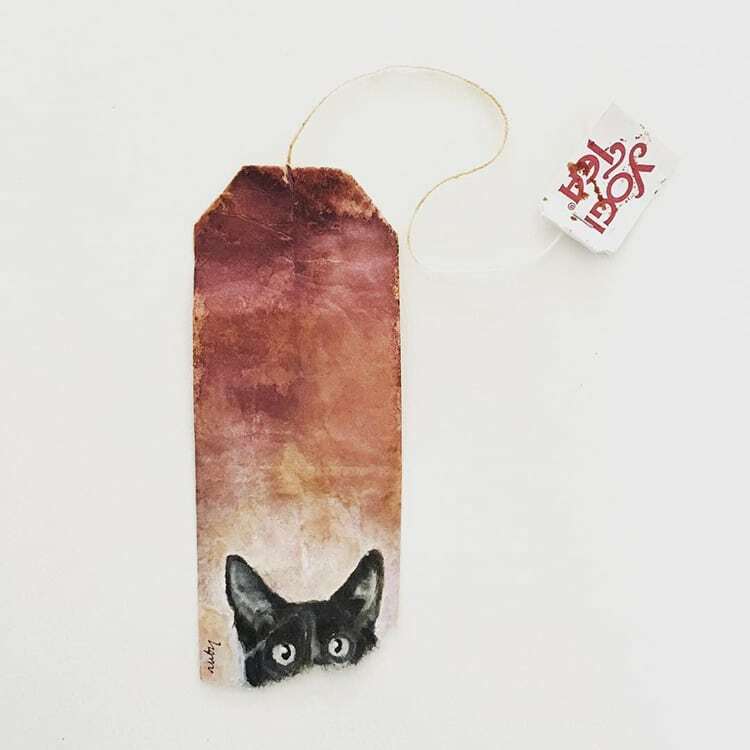 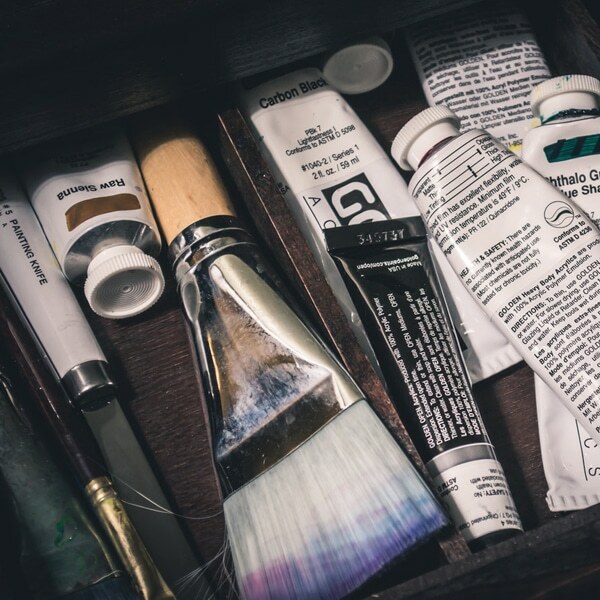 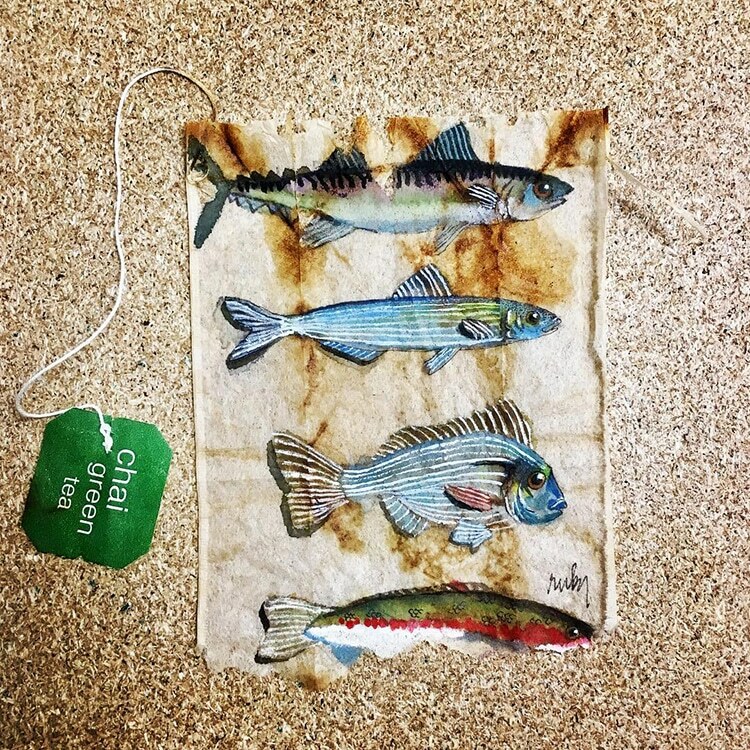 If you can’t make it to Philly, you can still browse through Silvious’ daily tea bag art on Instagram while sipping your very own cup of tea. 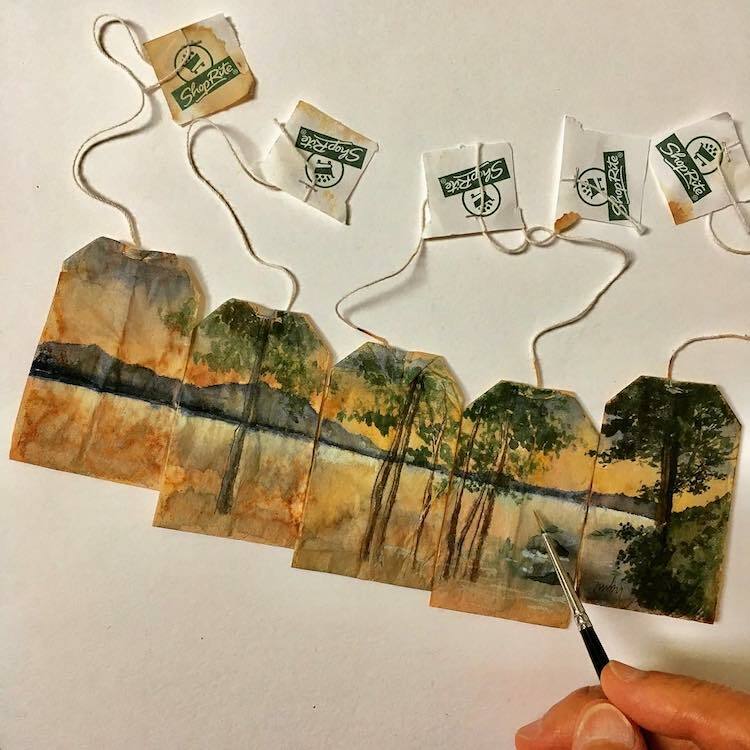 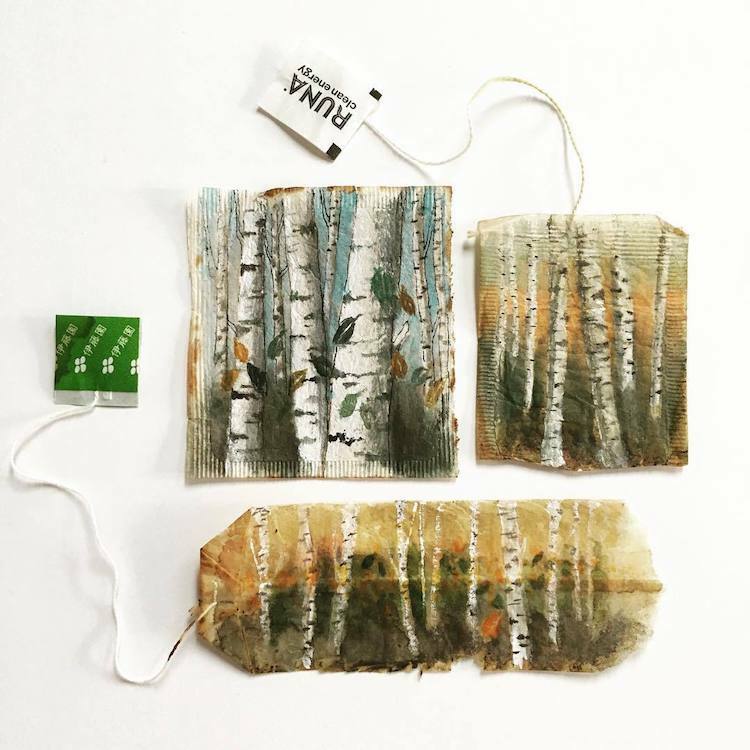 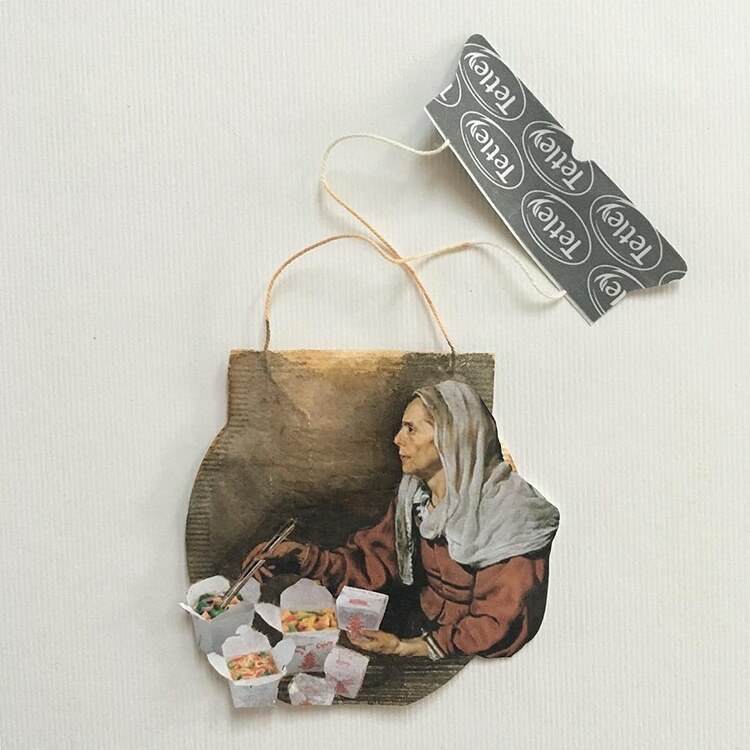 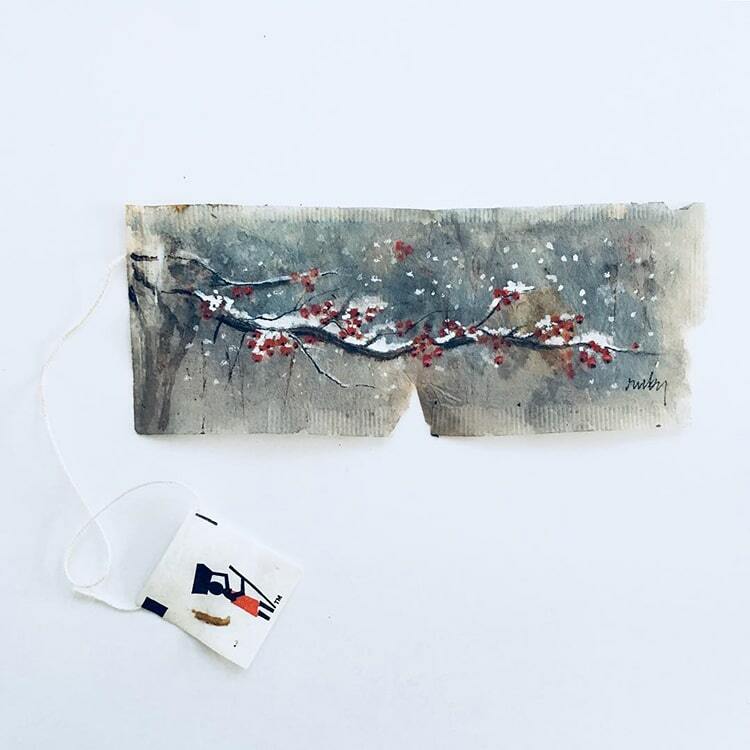 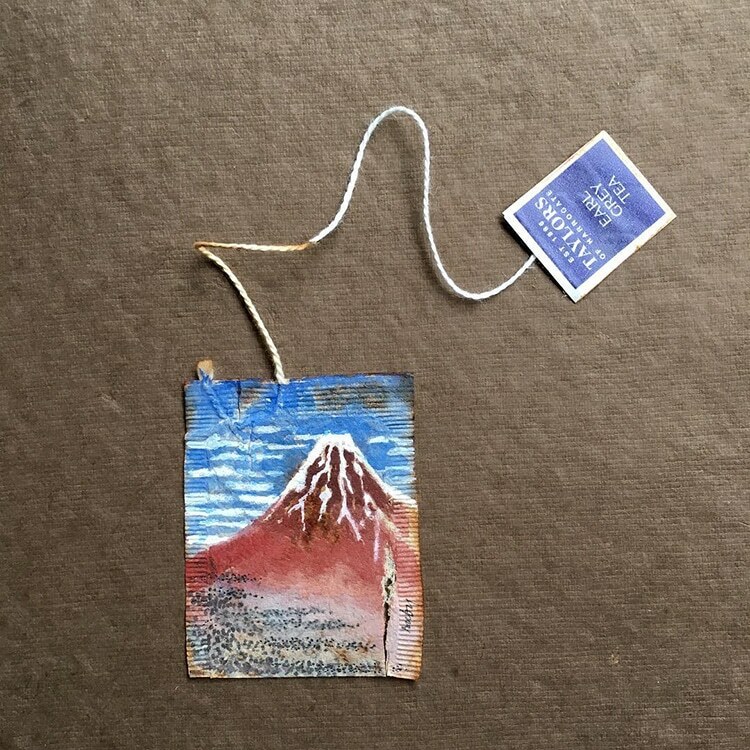 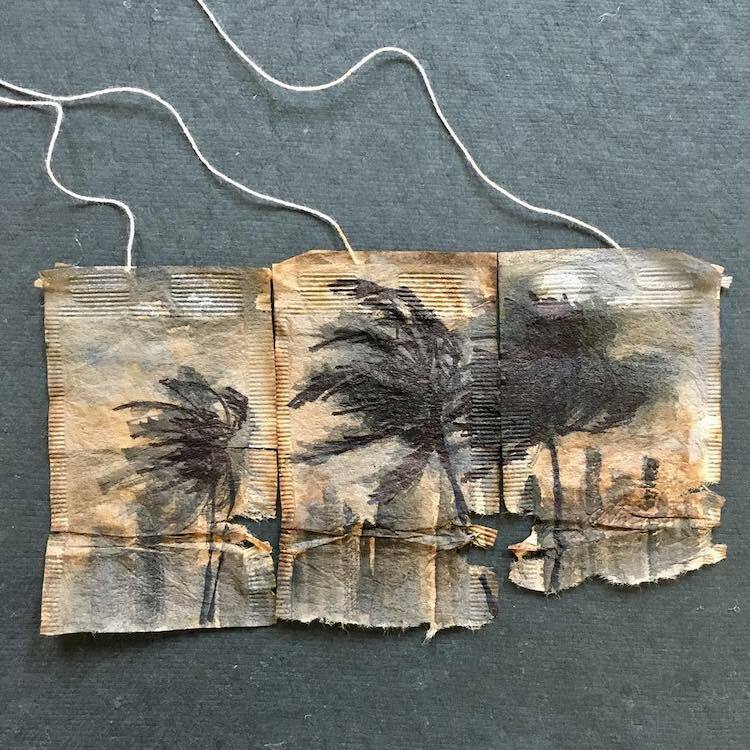 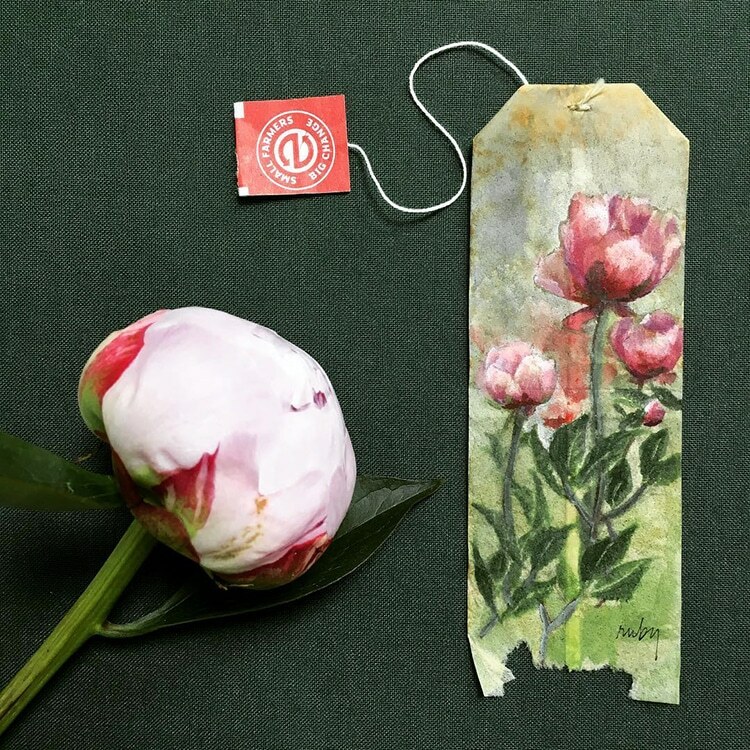 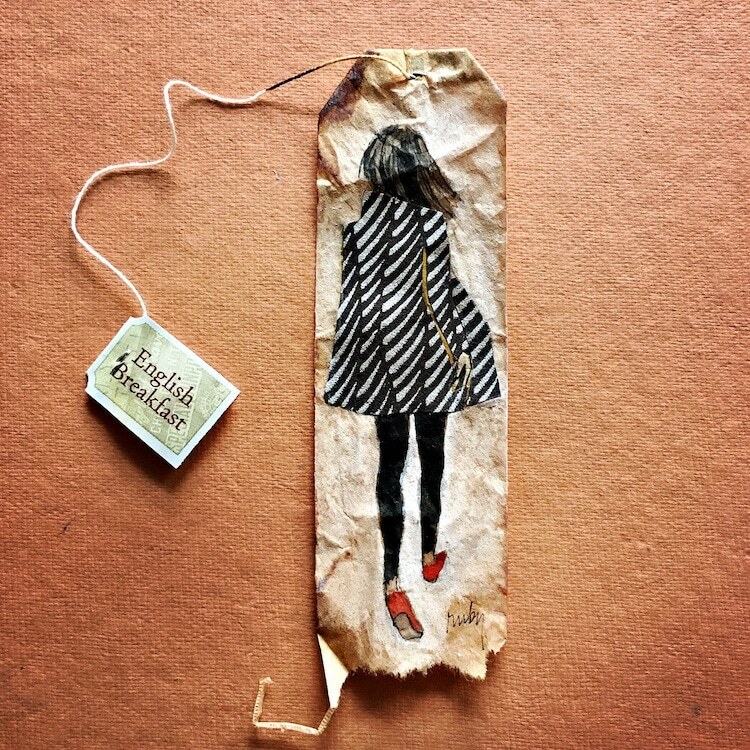 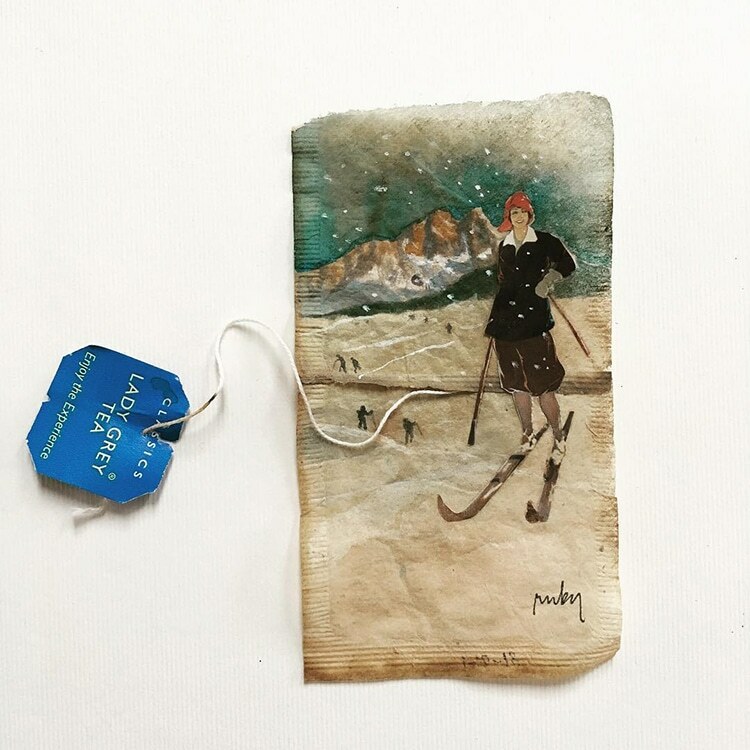 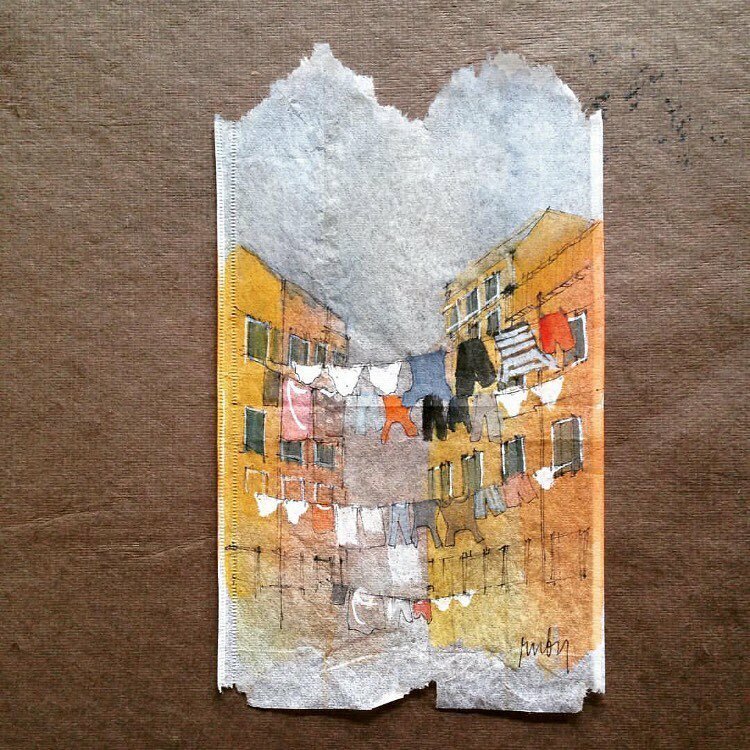 New York-based artist Ruby Silvious creates miniature paintings on used tea bags. 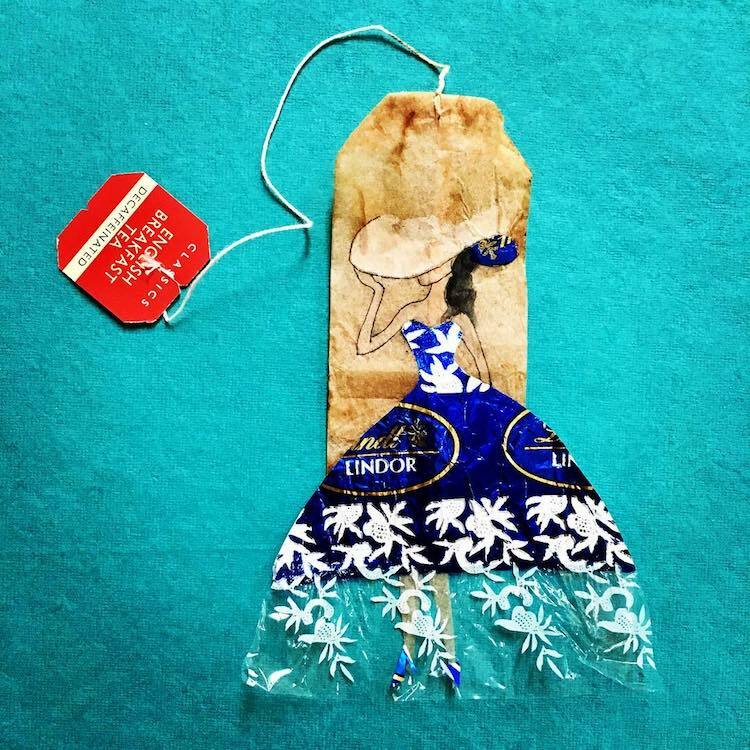 …and her time spent in the South of France. 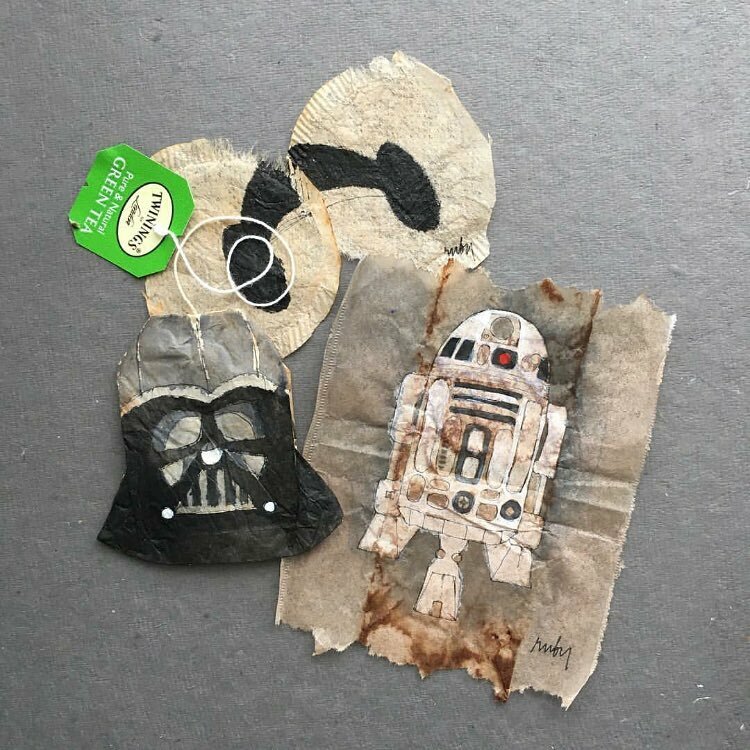 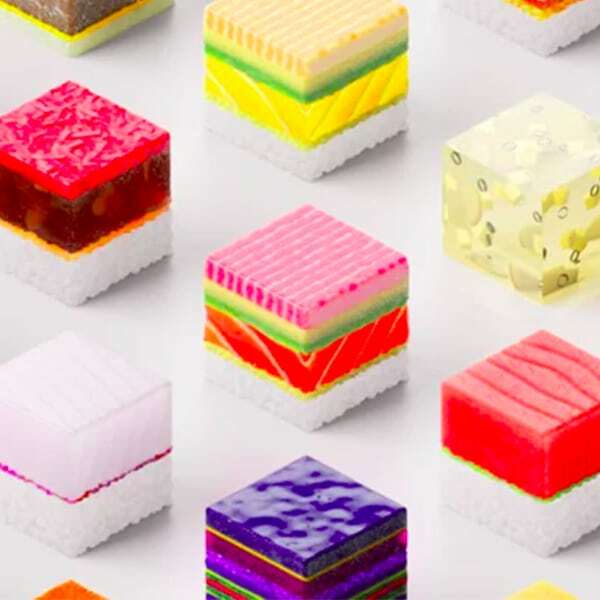 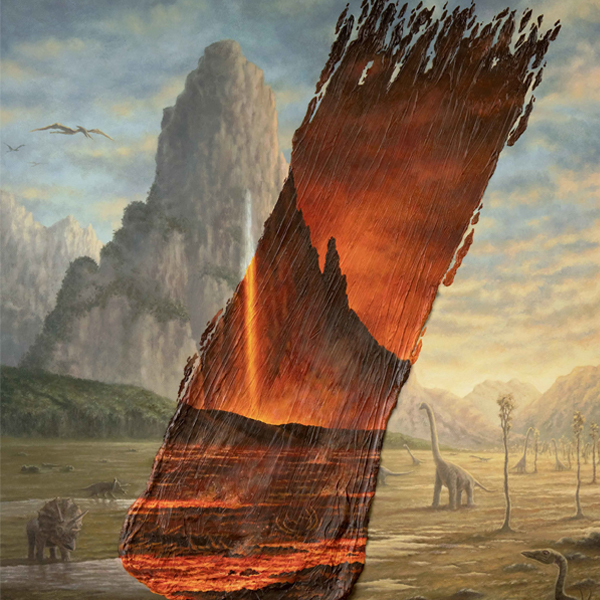 All images via Ruby Silvious.